We are very happy to welcome authors to speak at our store! Roundabout has organized over 100 events since we opened and we love welcoming authors to speak, read, and sign books at the shop. We offer setup, cleanup, audio-video equipment and strive to make our visitng authors as comfortable as possible. We advertise events in our newsletter, social media platforms, website calendars, and distribute the info to other news outlets throughout Bend, including The Bulletin, The Source Weekly, and VisitBend.com. 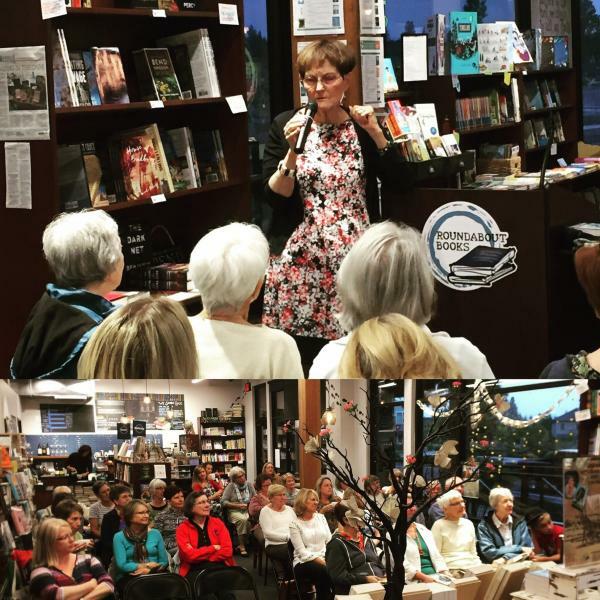 If you are interested in setting up an event to sell your book, please email Cassie at cassie@roundaboutbookshop.com with the event, title, and author information as well as some possible dates you will be avaiable.